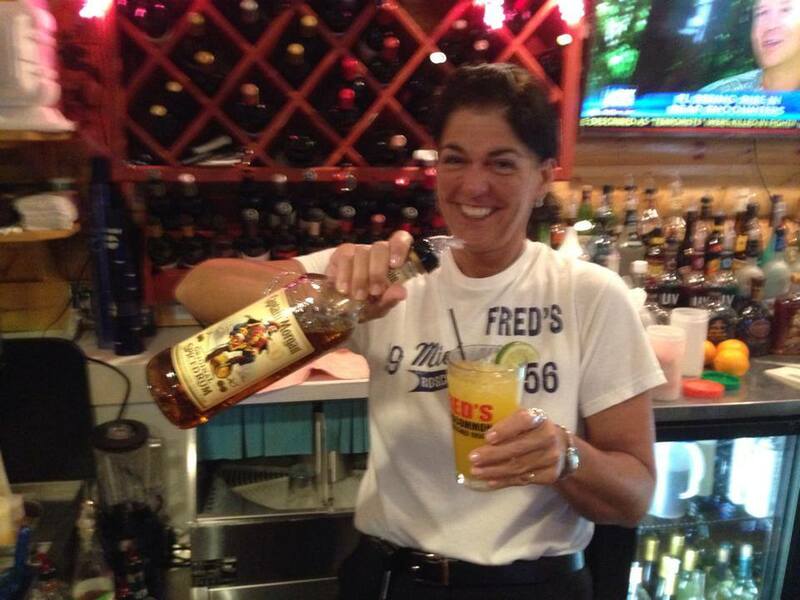 “Fred’s” restaurant & bar was established in 1956 by Fred Martindale. In the beginning “Fred’s” had only 14 tables, 8 bar stools and the employees consisted of basically Fred & a few employees. Adjacent to “Fred’s” was a bowling center called Chevern Lanes. Bowlers would purchase drinks from “Fred’s” and had to drink in “Fred’s”, while looking through a window waiting to bowl. In the early 80’s, Fred Martindale turned over the reins of “Fred’s” to his son and wife, Fred Jr. & Vicki. Fred and Vicki expanded “Fred’s” from a 14 table restaurant and bar to a seating capacity of over 200 people. Fred & Vicki also purchased Chevan Lanes (the wall between “Fred’s” and Chevern Lanes was removed!) In 2000, after several successful years, Fred & Vicki sold “Fred’s”. Unfortunately “Fred’s” fell on hard times and closed its doors in 2003. After sitting idle for several years “Fred’s” was purchased in May, 2008. The new owners were Kathy Bair, Income Tax Service and Investment advisor, Clint Bair, Income Tax Service and Ed Roginski, retired Human Resource Manager at Ford Motor Company. Fred’s bowling center opened July 4th, 2008. The restaurant opened with a limited menu on November 17th, 2008. Regrettably, the entire bowling center flooded the same year on December 17th! Not giving up, Kathy, Clint & Ed decided to push forward to repair the damages. Restoration of “Fred’s bowling lanes took over 3 months. The result is that Fred’s has one of the most “state of the art” bowling center in all upper Michigan. A new partner, Neal Cooley came on board in 2009. Neal brought with him over 35 years of restaurant, bar & catering experience to “Fred’s”. The “Fred’s “team is now complete! The new “Fred’s”, with close to 50 employees continues the “Fred’s” legacy of not only providing quality food and excellent service, but also being fully immersed in Roscommon and surrounding cities. “Fred’s” supports local schools, holds fund raisers for worthy efforts like “Relay for Life” & Special Olympics and helps with several local worthwhile community projects and hosts local organizations including Rotary.